In 2011, two separate lawsuits were filed in U.S. federal courts against Cisco Systems alleging that its technology enabled the government of China to monitor, capture, and kill Chinese citizens for their views and beliefs. The first case involved practitioners of Falun Gong, a religion that is popularly known for its use of qigong exercises and has an estimated two million or more members in China. 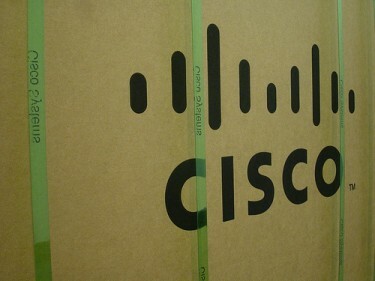 The suit was filed on behalf of Charles Lee, Guifu Liu, Ivy He, and several anonymous plaintiffs and accuses Cisco of marketing its technology to construct the Golden Shield, or what is popularly called the Great Firewall of China, while knowing that its products would be used to target dissidents. At least 2,000 members of the Falun Gong have been killed by the government of China, according to The New York Times, and many more have been tortured or harassed. The second case (the Writers case) involved a group of internet writers and activists who were similarly targeted by censors of the Great Firewall. Du Daobin, Zhou Yuanzhi, Liu Xianbin, and anonymous co-plaintiffs claim to have been harassed, arrested, and tortured because of their online writings. The plaintiffs in both cases sued under a variety of laws including the Alien Tort Statute (ATS), a crucial 200 year-old law that has been successfully used to hold human rights violators accountable in U.S. federal courts. The ATS was used in several law suits in Nigeria involving a group of writers and activists who were jailed, tortured, or executed by the military regime in the mid-1990s for peacefully protesting the destruction of Niger Delta wetlands by Royal Dutch Shell and other international oil conglomerates. The claimants in these cases sued Shell, arguing that the company had aided and abetted the Nigerian government and violated international law. The Supreme Court judges issued three separate concurring opinions in Kiobel, which do not have the force of law. These suggest that if there is a significant enough American interest, then a federal court could properly hear an ATS case. Cisco is headquartered in the U.S. and was selling its products abroad, so this seems like a significant interest for Americans. The victims, however, were Chinese nationals, although some of them now reside in the US. It is therefore unclear whether the plaintiffs would overcome the burden to show that Cisco's actions affected an American interest. Even if the two U.S. federal courts in California and Maryland, respectively, hold that the Alien Tort Statute does not apply to the Cisco cases, the plaintiffs in each suit also filed claims alleging violations of the 1986 Electronic Communications Privacy Act (ECPA), which governs the ability of companies to disclose private user data to government and law enforcement officials. On the surface, these claims are not nearly as strong as an ATS claim before Kiobel. In 2009, a judge in a California federal court held in Zheng v. Yahoo! that the ECPA does not apply abroad, even when information that is disclosed abroad passes through computer servers on American soil. Before Kiobel, there was no guarantee that human rights victims could win an ATS case on the merits in federal court, and the cases often resulted in settlement. But we have now come to the point when critical human rights cases may not even be argued in U.S. courts at all. This is a terrible loss for human rights, and even a loss for corporations. Litigating the Cisco cases in open court would provide a vital human rights record for the global community about how tech firms operate. There is another formidable hurdle: the legal team that defended Royal Dutch Shell in Kiobel, led by the former dean of Stanford Law School Kathleen Sullivan, is also defending Cisco. Human rights are good for business. A 2012 open letter from a group of socially responsible investors representing over $548 billion in investments explicitly stated [PDF] that human rights can and should be protected by businesses. This goal was reinforced by the UN's Guiding Principles on Business and Human Rights, which require companies to actively protect human rights, respect them, and provide remedies to victims of human rights abuses that result from actions by companies. Unfortunately, the facts in Kiobel and Cisco suggest that we are not there yet, and we need the courts to show us the way to go. In this sense, the Supreme Court has provided no real guidance.